Equipo Nizkor - Update on the Repercussions of Demjanjuk's Conviction in Germany, Spain and the United States. The member of the SS Totenkopf, John Demjanjuk, arrived to the German city of Munich on May 12th, 2009 after having been deported from the United States. The Prosecutor's Office in Munich brought formal charges against Demjanjuk and issued the corresponding arrest warrant in March 2009 for complicity in the assassination of approximately 29,000 jews in the Sobibor concentration camp located in occupied Poland. Following Demjanjuk's handing over to the German authorities, Radio Nizkor broadcasted a programme in May 2009 in which we clarified certain facts relating to the existing evidence, much of it of an undisputable nature, as well as summarised Demjanjuk's background relating to various National Socialist extermination camps. On 19th June 2008, various survivors and relatives of Spanish victims of the National-Socialist regime, represented by Equipo Nizkor, filed a criminal complaint before the National Court ( la Audiencia Nacional) in Madrid. This complaint was admitted by Central Investigating Court No. 2 of the National Court on 17th July 2008. The complaint alleges that acts constituting crimes against humanity were committed against Spanish nationals and the nationals of other countries in the National-Socialist camps of Mauthausen, Sachsenhausen and Flossenbürg, and seek the indictment and handover of Johann Leprich, Anton Tittjung, Josias Kumpf and John Demjanjuk, (all of whom were members of the criminal organisation of the SS Totenkopf), to be tried by the Spanish Courts. Also on 19th June 2008 the German authorities announced their interest in seeking the handover of Demjanjuk from the United States. This interest resulted in the issue of an arrest order against Demjanjuk by those authorities in March 2009, and, with this development, the deportation of Demjanjuk to Germany became practicable, as well as his subsequent trial in this country, which resulted in a sentence made public by the Munich Court this past 12th of May, 2011. In parallel, the proceedings against John Demjanjuk in Madrid continued and still continue to take their course. The Central Investigating Court No. 2 of the National Court addressed a Rogatory Commission to the competent authorities in the Federal Republic of Germany (Munich Court) on September 18th, 2009 in accordance with the European Convention on Mutual Assistance in Criminal Matters. The Spanish court requested the German authorities for information regarding the allegations being made against John Demjanjuk (Iván Nikolaiewich Demjanjuk) before the judicial instances of that country, in case they could be related to those under investigation in the case in progress in Spain. Based on the aforementioned judicial background, the judge in charge of JCI No. 2 issued a ruling on January 7th, 2011 ordering that formal charges be brought against John Demjanjuk and that he be handed over to the Spanish authorities, since: "In light of the proceedings, it can be asserted that during the Second World War... John Demjanjuk (Iván Nikolaiewich Demjanjuk) was a member of the Totenkopf SS, and served as an armed guard in places dedicated to the persecution of persons on political, ethnic and racial grounds, inter alia, namely the concentration camp of Flossenbürg (Germany)". There exists documentary evidence in this case that establishes the fact that dozens of Spanish nationals were detained and perished in this camp. In the same ruling, the Central Investigating Court No. 2 ordered "provisional imprisonment without parole and with visiting rights" and "[d]ue to the accused's currently being in Germany and being tried in the case 115JS12496/08 before the competent judicial instances in Munich, the Court orders that a European Arrest Warrant be issued and delivered..". The cited Arrest Warrant was sent using the existing formal procedures to the corresponding German authorities. The Munich Prosecutor's Office responded on February 1st, 2011 confirming receipt of the European arrest warrant on January 7th, and requesting that the Spanish court provide further information regarding the accused's participation in acts of homicide and the victims. On February 3rd, 2011, the judge in charge of the Central Investigating Court No. 2 transferred Munich's request to the Spanish Prosecutor's Office in order that it provide the information it considered appropriate to respond to the Munich Prosecutor's Office's request. The Spanish Prosecutor's Office provided its response on April 13th, 2011 by way of a report which was clarified subsequently by another report prepared by Equipo Nizkor (25Apr11). In the meantime, the trial in Germany continued despite the dilatory tactics exercised by the defence, and came to an end during the week of May 9th during which the accused's defence team made its final pleadings. John Demjanjuk was convicted to five years of imprisonment in the Federal Republic of Germany for his collaboration in the murder of 28,000 prisoners as an armed guard of the SS Totenkopf in the Sobibor extermination camp. The defence appealed the ruling, and until the appeal is decided, John Demjanjuk will be free, since the court considered that it was improbable that he flee. 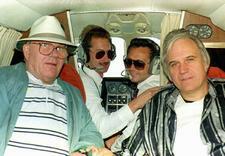 On Friday May 13th, 2011, Demjanjuk left the Stadelheim prison and was taken to a nursing home. Judge Margarete Nötzel, spokeswoman for the Munich courts, considers, according to statements made to the media, that the appeal proceedings could last one and a half years at least, and probably two. Just the compilation of documents and the transcripts of the trial could take six months. The essential point that must be retained out of this procedural saga is that as soon as legal action for crimes against humanity was brought in Madrid, the German Prosecutor's Office announced that it was willing to request the American authorities to hand over Demjanjuk for complicity in murder, as a common crime, which is a criminal offense that in Germany is not subject to any statute of limitations. What is really at stake here is the application of international criminal law and the criminal characterisation of crimes against humanity by ordinary courts in European countries. The proceedings in Spain have been and continue to be silenced precisely because of the fact that they are grounded on crimes against humanity, and not mere common crimes. In fact, the criminal characterisation of crimes against humanity was conceived to make it possible to determine the individual criminal responsibility of those who participated in the preparation and execution of a preconceived plan for committing various systematic and/or large scale crimes. As such it is somewhat misleading when the media makes statements such as "The conviction of Demjanjuk demonstrates that perpetrators of crimes against humanity cannot escape the administration of justice", since this is not the criminal characterisation used in Germany. Another important aspect is that the proceedings against Demjanjuk in Spain refer to crimes committed in the Flossenburg concentration camp, in other words, they deal with different facts. What is certain is that until today, and still until Spanish authorities respond to the Munich Prosecutor's Office, information received by Radio Nizkor from a reliable source indicates that the accused has not even been notified of the European Arrest Warrant issued by Spain, which means that we depend on the Munich court guaranteeing that Demjanjuk does not flee. In anticipation of precisely this situation, the accusing parties represented by Equipo Nizkor submitted a writing before the Central Investigating Court No. 2 exposing the risk that on May 12th, the Munich Court release John Demjanjuk without his having been notified of the Spanish authorities' European Arrest Warrant. The Munich Prosecutor's Office announced on May 16th an appeal against Demjanjuk's release. This appeal would have been already submitted on the basis of flight risk, the lack of a permanent address and the existence of a large group of sympathisers willing to facilitate Demjanjuk's flight, especially in his country of origin, the Ukraine, where he could take refuge. Also, simultaneously, John Demjanjuk's defence requested before the United States District Court for the Northern District of Ohio last April 29th, 2011 (barely two weeks before the judgment was due in Germany), that counsel for the defendant John Demjanjuk be reappointed (Office of the Federal Public Defender) to represent him in the denaturalisation proceedings -that had supposedly reached an end- and in any further proceedings deemed appropriate by counsel in light of recently declassified materials. This petition was based on the fact that favourable evidence for the defence would have arisen out of an FBI report, evidence "discovered" by the news agency Associated Press (AP). This agency stated in an article published on April 12th, 2011 that "the AP discovered the FBI report at the National Archives in College Park, Md., among case files that were declassified after the Ukranian-born Demjanjuk was deported from the U.S. in May 2009 to face trial in Germany." The cited District Court decided this month of May that the Office of the Federal Public Defender is reappointed to join John Demjanjuk's defence team in said proceedings. Another country in which there were significant reactions to Demjanjuk's conviction was in his country of birth, the Ukraine, where, this year, the city of Lvov (Lviv, Lwow, Western Ukraine) prohibited for the first time the celebration of Victory Day over Nazism, which day is celebrated annually on May 9th. Nevertheless, the Municipality of Lvov did not oppose a march that took place in commemoration of the 68th anniversary of the creation of the 14th Waffen Grenadier Division of the SS which was celebrated on April 29th. The Regional Council of Lviv requested President Yanukóvich to call for the release of Demjanjuk, and in the Ukraine they are considering admitting Demjanjuk to his region of birth. On May 22nd, 2011, the German newspaper Bild published under the title "The Bad Guy's Miracle Recovery" a number of photos of Demjanjuk walking around the nursing home where he is currently living in Bavaria. The photographs present a contrast to the predominant image of Demjanjuk, bedridden during the trial sessions in Munich, many of which had to be postponed because of his alleged ailing state of health. The statement expressed in the title of Equipo Nizkor's report made in May 2009, "Demjanjuk's detention leads to a reassessment of impunity in Europe" continues to be relevant today. This document has been initially published on 18May11 by the Equipo Nizkor and Derechos Human Rights. In accordance with Title 17 U.S.C. Section 107, this material is distributed without profit to those who have expressed a prior interest in receiving the included information for research and educational purposes.